Author: Andy Ritchie, Partner and creative director. Andy is an award-winning creative director with global brand experience and is at home shaping high level comms strategies or planning new publications. His clients have ranged from international development banks to high street supermarket chains and government organisations. Many of the Blackwood team cut their professional teeth in the magazine industry, and today we continue to help clients to tell their stories and promote their brands via corporate magazines. Andy, Blackwood’s creative director, and Sally, our content specialist, take you through what you need to know when (re)launching your in-house magazine. Before you start the creative process map out the key aims and objectives of the publication. Understanding and agreeing on what the business needs is vital for the all-important internal buy-in. Before you start the creative process map out the key aims and objectives of the publication. Are you looking to make a visual statement in a crowded market place? Perhaps there is a need to appeal to a disengaged audience group or maybe offer your employees something new and exciting? 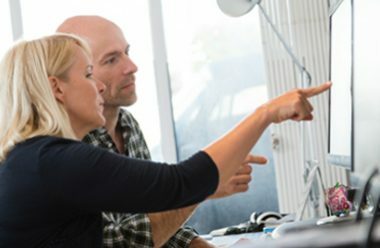 Understanding and agreeing on what the business needs is vital for the all-important internal buy-in. Once that is agreed we help you draw up a project brief. We then use this to conceptualise the magazine’s look and create the right editorial tone of voice, ensuring your magazine really hits its target. First off, you’ll need to agree your visual approach in advance, including elements like the typeface, the colour palette, grid, and so on. If you’re working on a new publication, it will obviously need a name. If it’s being translated into other languages, make sure the name makes sense in those languages too. I can’t stress enough the importance of having a variety of high resolution images. A mix of people, places and reportage shots gives the designer more to work with and creates interest and pace across the pages. With that in mind, think ahead of time about what your cover story will be. If you want to commission photography, it can take time, which you’ll need to build into your schedule. However, a good image library shot can also work well. Blackwood designs magazines and reports in multiple languages, and we know how vital it is to make sure that you finalise all content in the main language first (usually English) – including captions and pull quotes. Try to do this before you get the content translated into other languages. 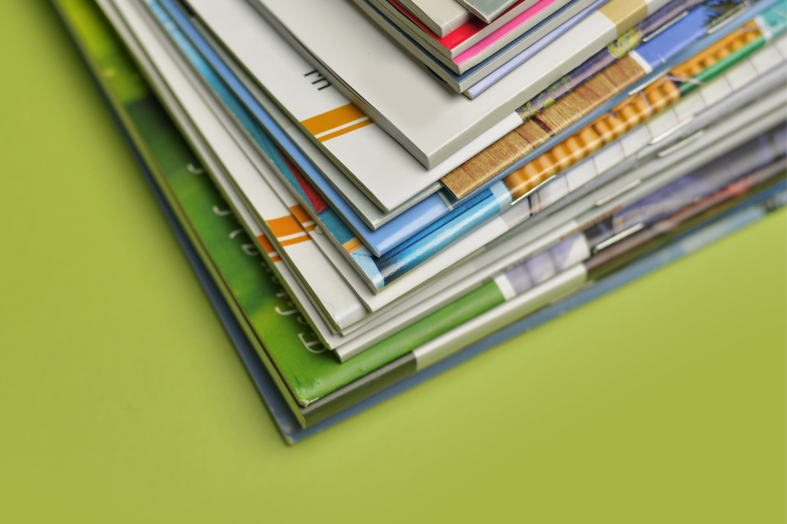 While your magazine is likely to be downloaded in digital form from your website, you’re sure to want some printed versions. Make sure you have a good printer on board who can advise you on the best paper stocks and finishes, as well as turnaround times – we can suggest a few. Digital printing is becoming ever more sophisticated, making small print runs very economical while ensuring high quality results. While your magazine is likely to be aimed at a very specific and targeted audience, there’s no harm in borrowing good ideas from other business – and even consumer – magazines. 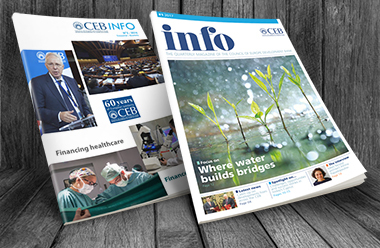 Aim for a rich range of content, from news in brief items to in-depth features, interviews and profiles. Knowing where to delegate and where to take control is key. Make the job of content creation as easy as possible by setting up an editorial calendar to help you to plan and organise content for future issues. Once you’ve found a good format, stick to it in each issue (e.g. news, features, interviews) so that you give readers a consistent experience. Changing the theme or focus in each issue creates interest, but always have a few stories in reserve that aren’t time-sensitive just in case you lose, or have to remove, an article for any reason. Gathering a strong editorial team together will pay dividends in the long run as good writers will suggest new ideas and should produce quality content ahead of time. Brief them well though, giving them word counts and a clear steer on what you need. If you don’t already have a house style guide, set one up (The Guardian newspaper and The Economist have online versions) to help contributors to produce articles in a consistent way. Lastly, many a magazine has come unstuck at the final approval stage when everyone wants to get involved and add their changes. Take control: minimise the number of people who are allowed to make changes. If you must, run it past other senior stakeholders on the understanding that it is only ‘for reference’. Many a magazine has come unstuck at the final approval stage when everyone wants to get involved and add their changes. If you’re writing content for an in-house magazine, you may find our 5-step guide to effective editorial helpful. Blackwood has a range of other guides to help you too, available to download for free from weareblackwood.com. 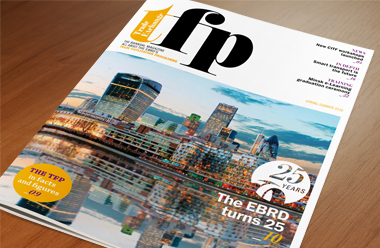 Our editorial expertise has helped the European Bank for Reconstruction and Development (EBRD) to raise the profile of its Trade Facilitation Programme (TFP) while setting the standard for similar communications in the commercial market.